Confidence Alone Won't Get You to a Great Relationship. You Also Need Competence. 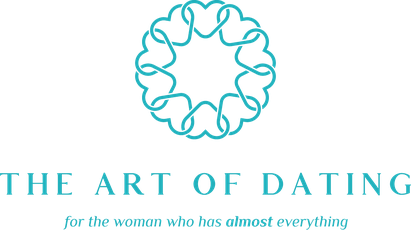 is a customized, coaching service for smart, successful and strong women who have almost everything. Whether your goal is marriage or partnership, dating successfully toward a committed and healthy relationship is not random. Despite the hundreds of dating apps and blogs, none are dedicated to showing you how to date successfully. It's not your fault as no one has taught you. After an honest inventory of your behavior and patterns, we will work together to remove the fears, doubts and limiting beliefs holding you back. Our work results in shifting your internal wiring and your approach to relationships. You'll learn about the 'what' and 'why' of relationships and set goals based on new found clarity and authenticity - what rings true for you. As we're working on elevating your relationship blueprint, we will strategize on how you can create an authentic profile that stands out, vet potential dates, identify red flags, create a real connection, communicate your needs and more. The relationship you have with yourself and with your partner are the two most important relationships that will drive the level of your happiness and success. "With her practical but caring approach, Eunice helped me learn more about myself and all the relationships in my life, not just those in the dating sphere. We worked together to shift in my mindset and approach towards dating to put the focus back on myself and regaining control over my own story and life path. Since working with her, I've felt happier and more confident, and eager to live my life in the fullest, most exuberant way." 1:1 coaching starts with a confidential consultation. Eunice champions women, supports and elevates them to live their most authentic and powerful lives. She believes that the quality of one's relationship will determine the quality of one's life. Her approach is based on practical, research-based, data-driven principals that have led to success. She believes that women hold ALL the power within us to manifest our hearts' greatest desires, and to live our best life, it's incumbent upon us to access every resource we have available.